Heliocare Oral has been extensively tested and researched in Harvard Medical School for more than 12 years for its safety and efficacy. The key ingredient, Fernblock® has excellent antioxidant property that reduces free radicals by up to 50%, preventing the formation of hyperpigmentation caused by UV rays. It protects the entire skin surface, increasing skin’s resistance against sunburn and redness by up to 300% and slows down skin aging by up to 55% by inhibiting collagen depletion caused by UVA. Fernblock® repairs existing damage in the cellular level, preventing cell mutation and premature skin aging. 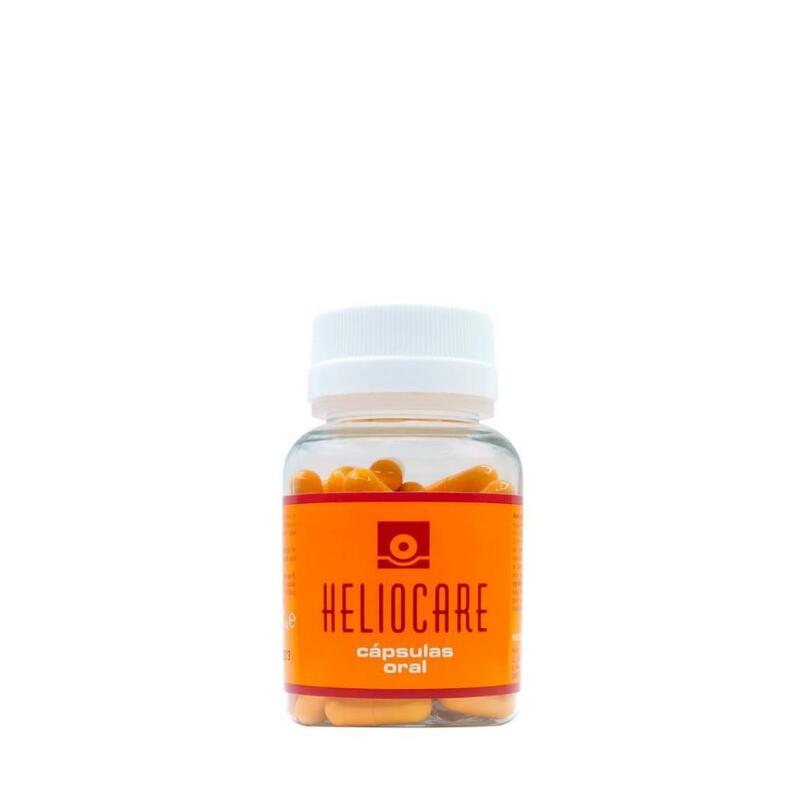 Heliocare Oral provides your skin with maximum sun protection when used in conjunction with topical sunscreen. Suitable for daily consumption for sun protection and antioxidant benefits. Directions: Consume 30 minutes before sun exposure. Take 2 capsules a day for daily sun exposure – 1 in the morning, 1 in the mid day (i.e. 30 minutes before lunch).Take 4 capsules a day for intense sun exposure – 2 in the morning, 2 in the mid day (3 hours after first dose). Ingredients: P.leucotomos, Corn Starch (Bulking agent), Magnesium Stearate (Anti-caking agent). Hard capsule: Gelatin (Glazing agent), Titanium Dioxide (E-171) (Colour), Orange yellow S/Sunset yellow FCF (E-110) (Colour).